Bloomberg reports that Matt Simmons may have been right after all - according to data released by Saudi Aramco the Ghawar field appears to have substantial production declines in recent years - The Biggest Saudi Oil Field Is Fading Faster Than Anyone Guessed. I'm not a huge fan of the Maritime Museum as a venue for this exhibition, but I still make my annual pilgrimage to it. Some interesting images still make it through - WILDLIFE PHOTOGRAPHER OF THE YEAR. This year wasn't without controversy, with one winner being disqualified after it turned out that he had used a taxidermist's product in his image - Wildlife photographer of the year entry winner disqualified after judges realise it was of a stuffed anteater. Brookings has a report from the China Daily prophesising that Chinese coal use has peaked - China’s coal consumption has peaked. 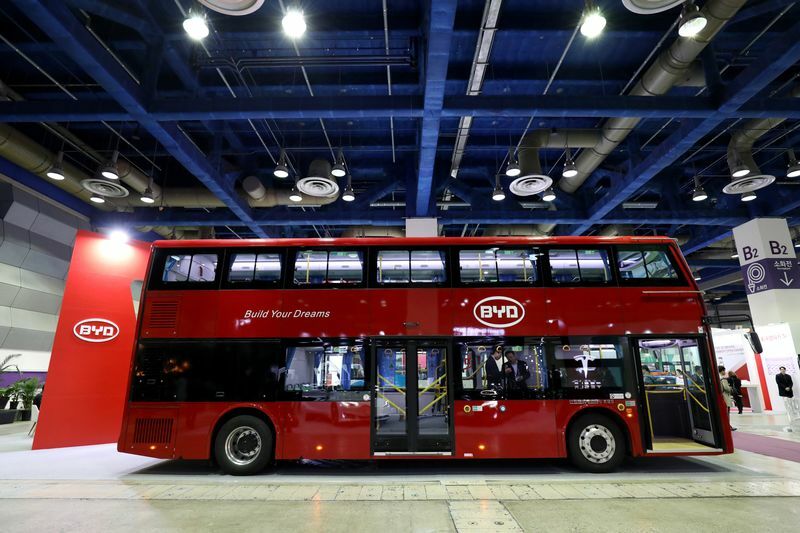 Bloomberg has a report on the rapidly growing electric bus industry, with China leading the way (adding a London-sized electric bus fleet every five weeks) - Electric Buses Are Hurting the Oil Industry. The propaganda war against Syria has been every bit as bad as the endless stream of lies we were fed about Iraq 15 years ago. Every time I see another made up story about "chemical weapons" being used by the Syrians (or by the Russians on some random dude they'd long ago allowed to emigrate to Britain) I wonder who believes this nonsense. Judging by the comments section at the SMH and on Twitter there are a lot of skeptics about, even if the mainstream media refuses to air any dissenting opinions at all. In the Iraq case the propaganda war seemed primarily designed to ensure control of the oil (with military industrial complex profits and the desire of the Israel lobby to destroy all other middle eastern states being the most important secondary factors). In this new war that is being pushed for the latter two factors far outweigh any energy related concerns. I enjoyed watching Pink Floyd's Roger Waters courteously dismissing those who fall for the party line at a recent concert. 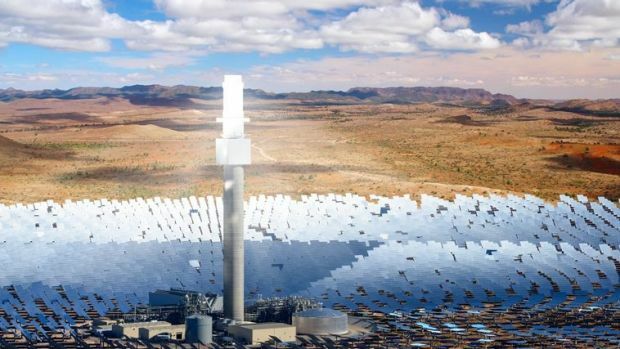 The SMH reports that SolarReserve will be building a 150MW solar thermal power plant in South Australia, following on the commissioning of the world's largest battery storage facility by Tesla in the state and in parallel with Zen Energy’s 1GW solar / storage project - South Australia planning to build the world’s largest thermal solar plant. Following the success of the world’s largest battery, South Australia is aiming to build the world’s largest thermal solar plant. SolarReserve’s $650 million, 150 megawatt Aurora solar thermal plant has received state development approval. Construction of the facility will begin this year. The Guardian has a look back at a long ago warning about global warming to the oil industry - On its 100th birthday in 1959, Edward Teller warned the oil industry about global warming. Over 300 government officials, economists, historians, scientists, and industry executives were present for the Energy and Man symposium – organized by the American Petroleum Institute and the Columbia Graduate School of Business – and Dunlop was to address the entire congregation on the “prime mover” of the last century – energy – and its major source: oil. As President of the Sun Oil Company, he knew the business well, and as a director of the American Petroleum Institute – the industry’s largest and oldest trade association in the land of Uncle Sam – he was responsible for representing the interests of all those many oilmen gathered around him. Eric Holthaus at Grist has a look at Antarctica's melting glaciers - Ice Apocalypse. 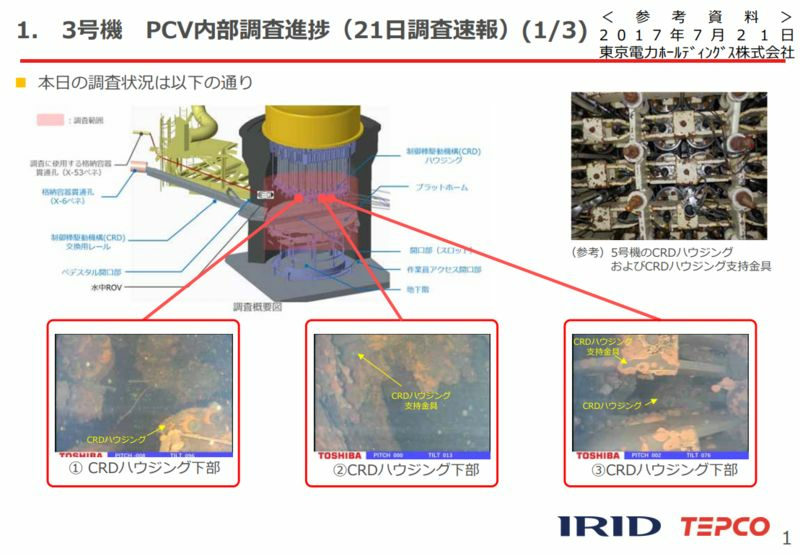 Bloomberg has a report on robots exploring the ruins of the Fukushima reactor complex - Japan Pictures Likely Show Melted Fukushima Fuel for First Time. Quartz has an article noting that Trump's withdrawal from the Paris agreement is just an act of carbonite theatre - renewable energy is now so cheap the US will meet its target anyway - Renewable energy is becoming so cheap the US will meet Paris commitments even if Trump withdraws. RNE reports that solar PV installations in Australia are now well above their feed-in tariff driven peak of 2013 - Record half year for rooftop solar after another bumper month. The new statistics, released by industry analyst Sunwiz, follow a new report released last week that showed that the average uptake of rooftop solar in Australia had now reached 25 per cent, and above 31 per cent in Queensland and South Australia. The Sunwiz data shows that Australia now has 5.83GW of rooftop solar installed on 1.71 million homes and businesses. Queensland leads the way with 1.77GW – bigger in capacity than the state’s largest coal fired generator. Businesses are the biggest mover in the uptake of rooftop solar – possibly because they are being hit with even bigger rises in electricity bills, and accounted for a record 33 per cent of installations in the last month, and more than 40 per cent of installations in states likes South Australia.